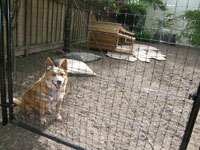 A pet safe dog fence from Best Friend Fence is a humane alternative to adequate pet fencing. It will keep your dog from escaping from designated areas without compromising their safety. Best Friend Fence has designed our pet safe dog fence for dogs specifically, so you can rest assured that when we built our fence kits we took into consideration the natural behavior of dogs, so that would not only be effective, but safe as well. We want to help you keep your dog safely contained yet able to play and run free. Our pet safe dog fence is designed to protect your dog without a threat of injury. It's a humane alternative to pet control that allows your dog to explore the area you have designated for them to play freely without the restriction of a leash or harness. Your dog can feel free to explore their territory and you will have peace of mind knowing that they're safe. Our pet safe dog fence is a win/win situation for you and your dog. If you are worried about your pet safe dog fence taking away from the aesthetic value of your yard, it would please you to know that the pet safe dog fence is "virtually invisible" from up to 20 feet away. Your pet safe dog fence won't pose as a large obstruction in your yard and it won't irritate the neighbors. The fence is noticeable up close, so you won't have to worry about your dog accidentally running into it and injuring his or her self. It's designed to be a subtle and humane solution for keeping your pet safe. Our pet safe dog fence is "Chew-Proof". You won't have to worry about your dog destroying the fence with hopes to escape. The spaces in the fence are designed to be very difficult for dogs to get their mouth into, thus eliminating the chance of your dog being able to gnaw on it. This design is great for not only the durability of the fence, but also is great for your dog's health. The "Chew-Proof" pet safe dog fence will alleviate the risk of your dog tearing off a piece of the fence and ingesting it. Your dog and fence will both be safe. Our pet safe dog fence is very durable and can be reinforced to tailor to larger or more rambunctious dogs. It's made of a polypropylene composite that is strong, weather resistant, and safe for your dog. Our UV resistant composite is designed to last for many years without deteriorating so your pet safe dog fence will remain durable, and remain safe. When you attach our fence to trees or to our steel posts, it is designed to be both sturdy and reliable. Depending on your dog's demeanor or the layout of your property, you can customize the amount of posts and ties you use. It's a great value for a pet safe dog fence. The pet safe dog fence also comes in different size that can be used for a very small or very large dog, and every size in between. We have fencing that is 5, 6, and 7 feet tall, so you can select the height of your pet safe dog fence depending on the size of your dog. The rolls also come in different lengths depending on how much space you want to provide for your dog. The rolls come in both 100 and 200 foot lengths, so you can properly section off the perfect amount of designated space in your yard for your dog. Combine our height and length options for our pet safe dog fence to create the best fencing solution that applies specifically to your pet and yard. You can also add an access gate to your pet safe dog fence that will allow you to have easy access to your dog and your property. With an access gate, you will have the freedom to put in and take out your dog with ease. You can also use the access gate for a controlled playtime with your dog. The access gate provides convenience without compromising durability. It's another feature that makes your pet safe dog fence a better fencing solution. 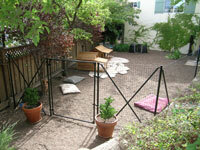 A pet safe dog fence from Best Friend Fence will provide the perfect solution for your yard. It gives you the peace of mind in knowing that your dog is safe. It's a pet safe dog fence that is humane and durable. Your dog will love the freedom of being able to openly explore their area, and you will love the security, safety and quality a pet safe dog fence from Best Friend Fence will give you. 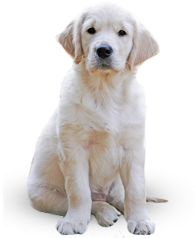 Contact us for more information about pet safe dog fences today! Click here to view our pet safe dog fence!